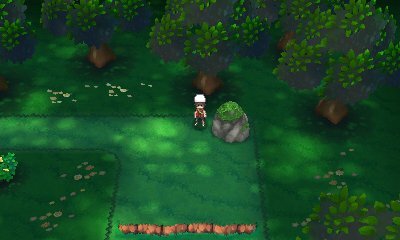 In the north-east of Petalburg Woods, behind a Cut tree, you will find a small moss covered rock in the absolute corner. If you level up Eevee around this area, it will evolve into Leafeon. In the absolute bottom floor of the Shoal Cave, you will find a small moss covered rock in the middle. 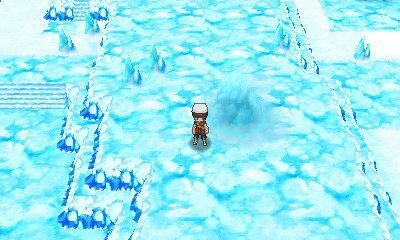 If you level up Eevee around this area, it will evolve into Glaceon. This area is only available for short times every day. It is available when the tide is out between 03:00-09:00 and 15:00-21:00 every day. In all other times, it will not be accessible. After you have defeated the Primal Pokémon and earned your Rain Badge, Wattson will appear outside the Square Tower in Mauville City and tell you there's a fault in New Mauville. Following him to his apartment in Mauville Hills, he will ask for you to go to New Mauville to check it out, opening it up.. 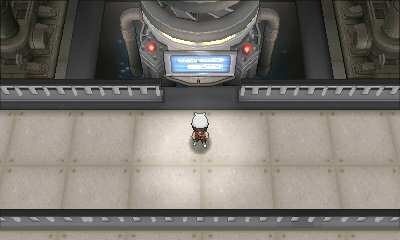 If you level up Magneton around this area, it will evolve into Magnezone and if you level up Nosepass here, it will evolve into Probopass.